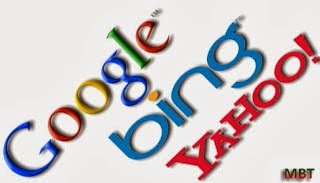 Should You Optimize Your Site For Bing And Yahoo? We all know that when it comes to the search game, no one beats Google. And when you own a game, you're bound to change the rules. Google has made a lot of changes to how we do SEO, and if you think about it, we spend most of our time optimizing for Google. It's all but fair, considering Google owns more than two-thirds of the market. But what about the rest of it? What about Bing and Yahoo that fill up the rest of the space? Is it worth your time to optimize for them as well? Search Engine Optimization should be about all search engines, right? But what most of us do is Google Search Optimization. This SEO alone takes up a lot of time and effort. So can you afford to waste time on other search engines such as Bing and Yahoo? You might think of it as wasting your time, but you're actually diving it and investing it. Google is notorious for bringing out Pandas and what-not, which can kill a website in its prime. So imagine spending all your time on Google optimization, only to find out that Google now wants more of those in-depth articles, and less of your regular news releases. If you rely solely on search to drive traffic, then you, my friend, have almost had it. In the end, it all comes down to putting your eggs in many baskets. Consider spending some time optimizing for Bing and Yahoo as well. The more baskets you have, the less you have to lose. I mean I know losing traffic from Google can be a disaster, but Google doesn't own 1/3rd of the search market, and that's may just be where your knight in shining armor comes from! That brings us to the question: who is actually using Bing and Yahoo? These two engines share almost 30% of the total searches between then, and that's a significant figure. But you never tell anyone to "Yahoo" or "Bing" something up, now do you? Perhaps, this 30% group is specific to a region. Knowing the demographics of Yahoo and Bing users is key to developing an SEO strategy for these two search engines. When you figure out who is using these engines, you can create strategies that are specific to that demographic. With these very intentions, a study was put together by WebpageFX, an internet marketing company. According to them, a persons' educational background and political affiliations might effect their search engine preference. The study is limited to the U.S, but it can show how search preferences vary with location. According to the study, within the U.S, Bing and Yahoo are most popular in states such as North Dakota, West Virginia, Ohio, and Arkansas. These areas also happen to be places where Google is less popular than in other states. If your business is based on audience from the U.S, looking at the study can give you some useful help. Knowing what kinds of people are looking for what kinds of information on each search engine can be a great help in determining how to optimize differently for Google, Bing, and Yahoo. You might be thinking, OK it's important to optimize for Yahoo and Bing. But how can one possibly handle three search engines at a time? Well, actually Yahoo search is powered by Bing, so in the end, you'll only be optimizing for Google and Bing - just one extra search engine. And if you compare the two, Google and Bing algorithms are similar in some ways. The basics are somewhat the same. For example, having a high number of quality dofollow backlinks is just as important to Bing as it it to Google.